Tell us a little about your experience with the birth of your first child, Ellie Kate. Much like most new moms out there, I naively walked into everything “baby” with the first one. After I peed on the stick and it showed two lines, I immediately saw images of holding my never-crying, always-sleeping, perfect pooping newborn. I never even pictured anything in between. However, once the reality set in and we began making the decision of choosing a doctor, we just went with whomever our friends recommended. My husband had just taken a new youth ministry position and we were moving to a new city, and therefore, I called a member of our soon-to-be-church to ask her advice. She quickly told me of the nearest hospital and a cousin of a friend of her neighbor’s daughter used Dr. SoundsPerfect, so of course, I went with her. I mean, I had a referral! The Lord must have been smiling down upon us, because regardless of our out of the hat pick, our doctor was wonderful. She was like-minded with us, very patient, and had great people skills. I really loved her. However, she worked in a circuit of doctors, and therefore when I went into labor on a Monday night, she was not on call, and therefore I got Dr. NoBedSideManner. I immediately felt uncomfortable. I had never even laid eyes on this doctor and now I had to share an intimate experience with her. I was devastated. But what could I do? Of course, there was lots I could do, but I was uninformed. I said that was fine, and that we should do whatever was safest for the baby. When she left, I burst into tears. This is not how I wanted things to go – even though I hadn’t put a lot of thought into how I DID want it to go. As I laid on that operating table, I was thanking God that I would soon be holding my newborn, and that she would be safe and sound, but I also couldn’t help but wonder if there was another way. I remember leaning over to Ben and saying, “I am not doing this again.” He wisely nodded and said, “Anything you want, dear.” Smart man. Why/what was your process in choosing a birth center for the birth of your second, Peyton? After my experience with Ellie Kate, I knew I wanted something different – something better. When I found out I was pregnant only 7 months after giving birth to EK, I was a little nervous. Would a doctor even let me have a VBAC (something I had been researching since three days postpartum)??? I had a friend at church who had just decided to use a midwife at something called a birth center. Sounded like one of those “crunchy” things, as my husband and I like to say. But somehow, I talked him into just going and seeing what they have to say. “What if they make you go ‘all natural’?” I remember him saying. “Well, then we will just march ourselves right out of there,” were my exact words. But we met with Ann, a midwife my friend had recommended there, and from the moment we stepped into the office, I felt the Lord’s presence and his hand upon that place. I knew from the moment I stepped in that this was the place I was going to give birth to Peyton (although at this point, she was still Baby #2). Now that is not to say that I didn’t have my reservations, especially about chosing to go natural, but it was something I was willing to do, to avoid another crummy birth experience. Tell us the story of Peyton’s birth. Was your experience what you expected it to be? How do you feel about it looking back? 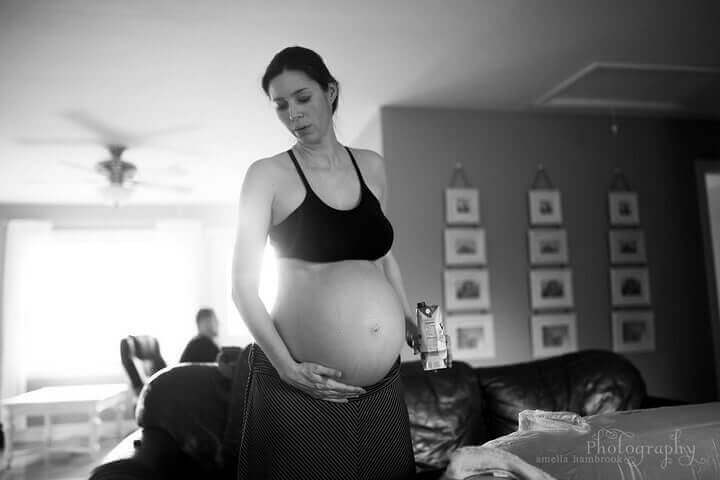 My prenatal care was amazing throughout my entire pregnancy with Peyton. My numbers and counts looked great and everything pointed to a beautiful birth experience. I guess I thought beautiful = fast. Boy was I wrong. My labor began on Saturday evening and it was stop and go for nearly three days. By day three, things really started picking up and by midnight, I was on the phone with my midwife. Ok, so Ben was on the phone with my midwife. Same thing. She told us to wait a little bit longer and labor at home until they got more intense. She assured us that since we were only a few short minutes from the birth center, I would labor much easier at home. Which I did. By 7am, I was ready to come in. I thought I was going to die – little did I know, I was just still in early stages. I had nothing to compare labor to because I had practically begged the nurses for pain relief the second I walked into the hospital doors with Ellie Kate. After many hours of labor, a TWO HOUR trip to Wal-mart by my husband, plenty of time in the tub, and a few screams later – Peyton was finally here. While holding Ellie Kate for the first time was a miracle and a life changing moment as well, I had never felt like this before. I had seen a side of my husband that I had never seen before. He was my rock. He prayed softly into my ear every five minutes, offering me hope and peace. My midwives were there pushing me and encouraging me through Scriptures and Bible promises. My chiropractor was there, and she adjusted me at the final stages of pushing, to help get me through. I in no way birthed that baby alone and I couldn’t have done it without the help of these people. At 2:47 pm on Tuesday afternoon, Ben and I were holding Peyton and we both wept at what the Lord had just done. I remember Ben saying, “You did it!” And I had. Never in a million years did I think I had the strength to endure 18 hours of excruciating labor, but I did it. And it was exactly how we had wanted it. We were by ourselves (well, with one midwife, one chiropractor, and two interns) and got to share every early moment with Peyton. She was never taken away from us or put out of our sight. We bathed her, weighed her, measured her, and nursed her – all in the same room we delivered her in and only moments after. We went from feeling robbed of something with our first birth, and God had healed our wounds with the birth of Peyton. He had answered our prayers and we were so thankful. Please feel free to answer any questions I forgot to ask. A birth center birth was right for us in so many ways. It was a good medium and compromise for my husband and I. We weren’t quite ready (and when I say “quite ready,” I mean no way on God’s green earth), to have a home birth, but we hated the formality and “risk” associated with doing another hospital birth. The birth center has all your supplies available at their finger tips, cleans up when your done, and even offers you a free breakfast! Not to mention, it put our parents minds at ease knowing we were giving birth at an establishment. It was all about compromise for everyone and it was the perfect choice for us. I have since birthed yet another child at the birth center, and his birth was just as healing. With our next child, I am considering *gulp* a home birth. After two successful births at the birth center, Ben and I feel like we might be ready for this challenge. We are so thankful for places like Gentle Beginnings Birth Center and birth centers like it all over the world. It gives people options, and teaches that there might be another way. 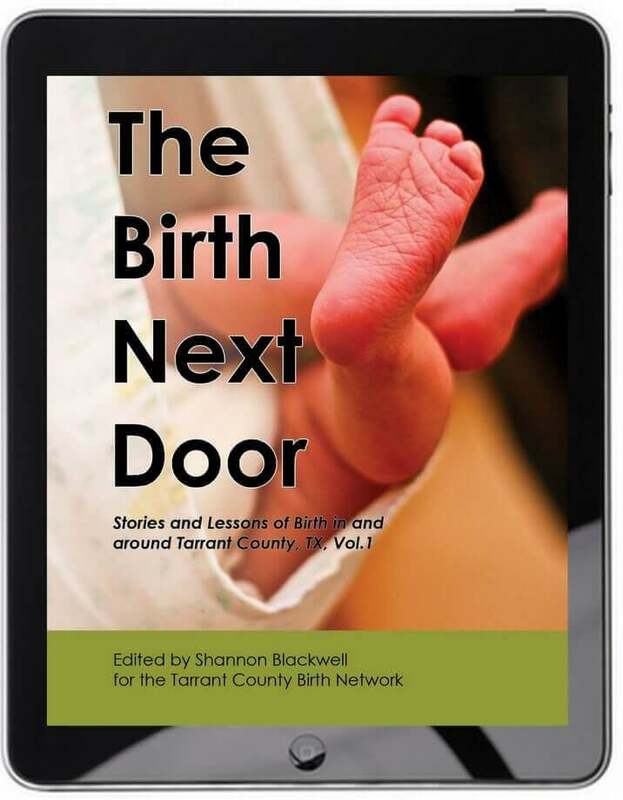 If you are considering a midwife birth, but are apprehensive about a home birth – go visit a local birth center. You just might be surprised. By the way, thank you Meredith for you sharing your birth stories with us! Thanks for posting this Heather. I want to use a birthing center for my next pregnancy and didnt realize there was one so close! I thought I would have to drive to Allen! That’s so awesome! Although I’m not using the birthing center one of my midwives, Christy, practices there. The relationships I have formed through their community are amazing. You’d probably be surprised how many Mid-Cities moms are going for the birth center option. It’s very exciting! .-= Crystalyn´s last blog ..Richardson Wildflowers =-. We used Gentle Beginnings Birth Center in Hurst, TX and they are no stranger to VBACs. I did my research, and this is the place to go. You will never feel more at ease. I used Ann Crowell with my first VBAC, and she has dont PLENTY of them. But when with third I used Cindy Haggerton and she was fabulous. Good luck as you start planning your VBAC – it is so worth it! I don’t know if they do VBacs, but that’s where I’m going for my prenatal care. I’ve had two c-sections so they definitely won’t do me, but they might do one after one c-section.